For the people, familiar with my blog, it is known that usually I am resolving problems from Codeforces.com. Codeforces supports plenty of languages, unfortunately VBA is not one of them. Thus, I have decided to build up a small algorithm testing system, which follows the following pattern – the input and the expected output are both provided via separate text files. Then, the person who writes the algorithm, should be able to write a function, reading from the first file and getting exactly the values from the other file. MainTest = MainTest & " a"
Thus, to solve the first problem, we need the following input and output files. 6 Test 1............................................ ok! Runtime error on 2! Test 3............................................ ok! Error on test 4! Expected -&gt; 57 Received -&gt; 58 Runtime error on 5! Error on test 6! Expected -&gt; 83 Received -&gt; 121 Test 7............................................ ok! runtimeError = "Runtime error on " & cnt & "!" positiveResult = "Test " & cnt & "..................................... ok!" ' Purpose: This is where the competitors paste their solution. The code is also available in GitHub. 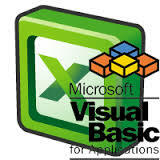 VBA – Attributes. The high-end in VBA.